a tall woman has came with a valorous pace to reporter and had greeting. "Hi, nice to meet you. I'm a flutist Hyuncheong Park!" 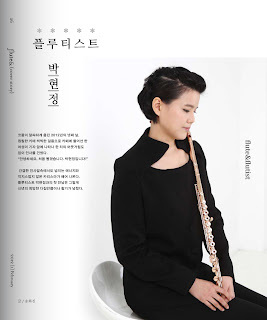 A native of Seoul, Korea, Hyuncheong Park studied at The Juilliard School as a student of Julius Baker and at Musik Hochschule in Munich, Germany as a student of Andras Adorjan, where she completed her Bachelor of Music degree with the outstanding score. She furthered her studies at New England Conservatory, where she earned her Master of Music degree and Graduate Diploma as a student of Paula Robison as a recipient of NEC scholarship. In 2007 she received her Doctor of Musical Arts degree at Boston University as a recipient of Susan McDonald scholarship. 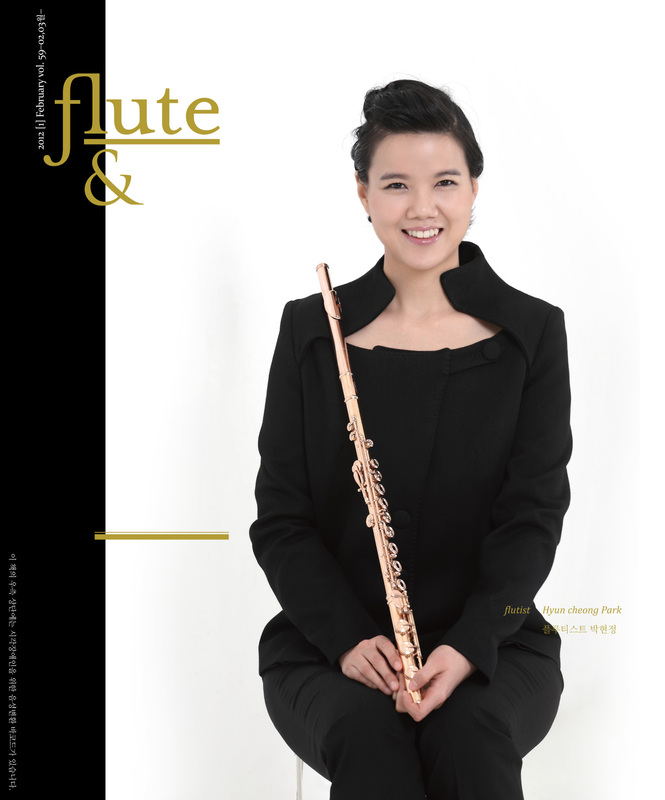 She has won top prizes from many competitions, including Bucchi International Music Competition in Rome, Italy, Popputsatkis Flute Competition in Boston, NEC Concerto Competition, National Flutist Association High School Competition, E-Wha, Chosun, and Dong-A Music Competitions in Korea. Also she was the semifinalist at Kobe International Flute Competition in Japan, Nielsen International Flute Competition in Denmark and Young Concert Artist Competition in New York. She has given many recitals in Germany, Italy, and Boston, as well as in Korea. She has performed as a soloist with many orchestras, including Dae-Joen Phil, KBS Orchestra, NEC Symphony, Pan- Asian Chamber Orchestra, Hungary Budapest Chamber and Korean Symphony Orchestra among others. Also she was a sub-flutist at New World Symphony Orchestra, where Micheal Tilson Thomas conducts and a member of contemporary music ensemble Callithumpian. Currently she teaches at Chongshin University, Chugae Arts College and Seoul Arts High School. 간결한 인사말속에서도 넘치는 에너지와 억지스럽지 않은 카리스마가 배어 나온다. 플루티스트 박현정과의 첫 만남은 그렇게 신년의 희망찬 다짐만큼이나 활기가 넘쳤다.